Central Maine Medical Center | SIGNET Electronic Systems, Inc.
Central Maine Medical Center (CMMC) is a 250 bed medical center located in Lewiston, Maine. CMMC is a part of the Central Maine Medical family which includes the Central Maine Heart and Vascular Institute, Bridgton Hospital, Rumford Hospital, and multiple hospital employed physician practices located in 19 communities through central, western, and coastal Maine. CMMC was planning major additions to its campus, which included a new state-of-the-art Heart and Vascular In-patient facility, expanded Emergency Room and Laboratory facilities. This provided an opportunity for CMMC to review upgrading their NEC telecommunications infrastructure. The medical center required a system to deliver enhanced features, provide better management, and migrate to Voice over IP technology to lower the total cost of ownership, and upgrade the architecture to handle the increased traffic that would result from the expansion. The plan to integrate future Remote Doctor’s Offices and Outpatient Facilities seamlessly into the Central Maine Medical Family infrastructure was critical. It was crucial that the overall upgrade/migration of the NEC infrastructure be conducted without impact to existing hospital/clinic business operations. In addition, existing investments in technology and peripheral systems were required to be preserved. SIGNET, CMMC’s Exclusive NEC Solution Provider, developed a comprehensive phased telecommunications upgrade/migration plan to minimize disruption and to prevent downtime. This plan consisted of the migration of five existing NEC 2400 PBX’s with over 5,000 Extensions that were Fusion Networked with over 200 ACD Agents using Agent Anywhere technology to the UNIVERGE SV8500 Unified Communications for Enterprise (UCE) Platform. The new SV8500 UCE Platform delivers a comprehensive IP voice solution while working with existing analog/digital technologies previously installed in the campus. IP phones and IP softphones were deployed due to the ease of management, re-location flexibility and reduced turn-around time of installation, especially during crisis events. A new web-based UCE Manager tool (i.e. MA4000) was installed providing a centralized easy-to-use Single-Point-of-Entry for all SV8300 and SV8500 IP Communication Servers and Applications in the enterprise. NEC’s Wireless MH160 handsets have been installed providing increased coverage using CMMC’s WiFi network in the new ER and Laboratory to effectively connect patients, staff and caregivers. The existing voice mail was replaced with a Unified Messaging Server providing server-level integration with Exchange to allow delivery of voice messages to Outlook clients and mobile devices. The UCE Operator Attendant is scheduled for installation to provide operators with integration to directories and databases to provide enhanced information to incoming callers. 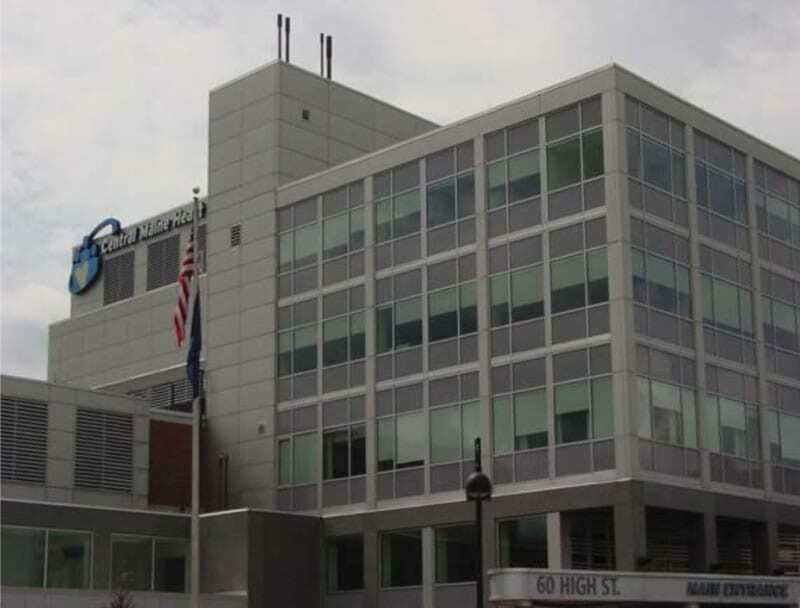 SIGNET’s phased approach included replacing existing T1 Remote Clinic locations with NEC’s IP networking to provide considerable cost savings by allowing connection over CMMC’s less expensive IP WAN. SIGNET’s upgrade/migration approach and implementation was a success in delivering the next generation technology while preserving CMMC’s existing telecommunications investment. Overall, CMMC will be able to deliver enhanced services expected in the changing information healthcare environment while reducing the total cost of ownership of their telecommunications infrastructure.